CAI is at it again. This time in Utah. Summary: URGE your House Representative to vote YES on S.B. 154 without amendments so you can make your own decisions about Solar and your home. We know that the Community Association Institute (CAI) should be named "Community Association of Vendor's Endeavors (CAVE)" because they decidedly do not represent homeowners but their vendors which are lawyers, accountants, contractors and management companies. Problem is with the CAI--you must always read further because they seldom support measures that actually protect the homeowner--they protect their vendors, because that is their job. How? By writing and influencing legislation that invests all the power to the BOD and limits as much as possible what a homeowner can do. After all, the board is the one who hires the CAI affiliated vendors. Writes the checks; keeps the vendors in business. If members actually got to make the decisions by voting on what the board can do, then many vendors would not be able to influence the board--and members might decide how they want their own community to be run, without the so-called CAI experts who spend your money. Owners might be the ones who influence their trustees, neighbor to neighbor instead of CAI "expert" to director, you know, like it was done in the old days before CAI got a stranglehold on the association industry. 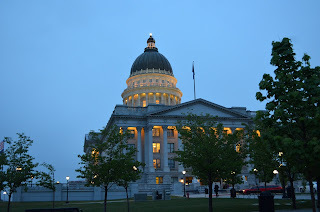 The CAI claims that legislators in Utah will trample the individual property rights of owners. They screamed at us via an email blast that said, "Oppose UNLESS AMENDED, S.B. 154 - Tramples Existing Individual Property Rights." But again, homeowners must always read the fine print. What the CAI wants is for the documents of your association to regulate what rules apply to the solar industry--not you, the homeowner! They say you won't be protected if your covenants don't dictate what you can do. Maybe you can have solar or maybe not--what do your documents say? They claim that "If this bill passes, Utahns will no longer be able to buy into communities believing they are protected by the pre-existing covenants that are recorded." In other words--your board and CAI attorney will write the documents and record them and the homeowner may or may not be able to have solar--they may or may not be able to have them on their roof, or on a tracker, or where it will give them the best location on their own property to generate their own electricity--in other words, your board will decide what you can do about solar. And then they can write rules, regulations, and resolutions that will force the homeowner to do it their way, if at all. Maybe they will even require that you use their "approved" solar vendor who no doubt will be CAI affiliated. Link to this blog to exlain. We need your help! Please contact your representative TODAY and urge them to: Oppose UNLESS AMENDED, S.B. 154 - to protect the right of homeowner associations to govern their neighborhoods in the best interest of their community. Current law allows residents living in community associations to work with their community to install solar technology. CAI supports solar technology and the benefits of solar technology's environmental impact. A bill passed just passed the Senate and is headed to the House that will trample property rights and community association governance under the guise of supporting solar technology. While supporting sustainable, green policies, we must OPPOSE SB154 (2ndSubstitute) unless amended. Click here to view full alert with suggested amendments. CAI members have actively worked with S.B. 154's (2nd Substitute) sponsor, Senator Fillmore, and other stakeholders and we support requiring all future community documents to declare the community's solar rules. We also support all existing associations having a reasonable amount of time to declare their community's solar rules and to create reasonable restrictions when working with homeowners who want to install solar. If this bill passes, Utahns will no longer be able to buy into communities believing they are protected by the pre-existing covenants that are recorded. ACT NOW - contact your representative and ask them to Oppose UNLESS AMENDED, S.B. 154 - to protect the right of homeowner associations to govern their neighborhoods in the best interest of their community. P.S. Please send this to others who may be impacted by this bad legislation and encourage them to contact their legislator.